What is the cheapest way to get from Chicago O'Hare Airport (ORD) to Twin Lakes? The cheapest way to get from Chicago O'Hare Airport (ORD) to Twin Lakes is to drive which costs $5 - $9 and takes 1h 11m. What is the fastest way to get from Chicago O'Hare Airport (ORD) to Twin Lakes? 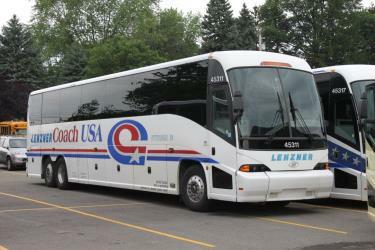 The quickest way to get from Chicago O'Hare Airport (ORD) to Twin Lakes is to Wisconsin Coach Lines and taxi which costs $60 - $85 and takes 1h 11m. How far is it from Chicago O'Hare Airport (ORD) to Twin Lakes? The distance between Chicago O'Hare Airport (ORD) and Twin Lakes is 42 miles. The road distance is 57.5 miles. How do I travel from Chicago O'Hare Airport (ORD) to Twin Lakes without a car? The best way to get from Chicago O'Hare Airport (ORD) to Twin Lakes without a car is to Wisconsin Coach Lines and taxi which takes 1h 11m and costs $60 - $85. How long does it take to get from Chicago O'Hare Airport (ORD) to Twin Lakes? 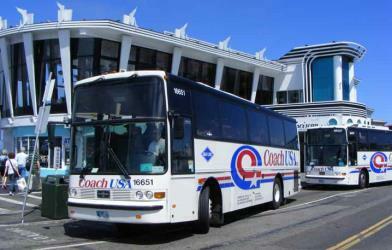 It takes approximately 1h 11m to get from Chicago O'Hare Airport (ORD) to Twin Lakes, including transfers. Can I drive from Chicago O'Hare Airport (ORD) to Twin Lakes? Yes, the driving distance between Chicago O'Hare Airport (ORD) to Twin Lakes is 57 miles. It takes approximately 1h 11m to drive from Chicago O'Hare Airport (ORD) to Twin Lakes. Where can I stay near Twin Lakes? There are 32+ hotels available in Twin Lakes. Prices start at $74 USD per night. What companies run services between Chicago O'Hare Airport (ORD), USA and Twin Lakes, WI, USA? There is no direct connection from Chicago O'Hare Airport (ORD) to Twin Lakes. 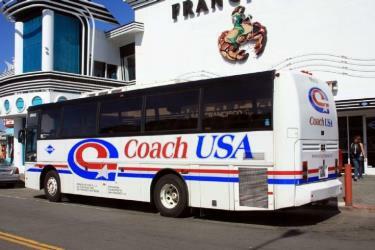 However, you can take the Wisconsin Coach Lines to Kenosha, WI then take the taxi to Twin Lakes. Alternatively, you can take the drive to Twin Lakes. Rome2rio's Travel Guide series provide vital information for the global traveller. Read our range of informative guides on popular transport routes and companies - including Best ways to travel around Australia, Travelling by boat in Italy and 4 of the smartest ways to explore Australia - to help you get the most out of your next trip. Discover how to get to attractions and hotels near Twin Lakes. Wilmot Mountain is a ski area in Kenosha County, Wisconsin. It is located in the Census-designated place of Wilmot and lies in both the Town of Randall and the Town of Salem, just north of the Illinois border. Located in the southern region of Wisconsin's Kettle Moraine, Wilmot Mountain is the result of glaciation. The self-proclaimed "Matterhorn of the Midwest" was founded by Walter Stopa in 1938 after a thorough research of the area’s topography. It has a vertical drop of about 200 ft. It is also one of the few hills where the mountain is wide open, with few trees or barriers to crossing the hill. A skier can transverse several runs while skiing downhill. Night skiing is available on the entire hill. Established in 1960 by the Grams family, the Volo Auto Museum is an automobile museum and collector car dealer in the Chicago suburb of Volo, Illinois, USA. The museum contains an exhibit of collectors' autos from vintage to modern classics, with the main focus being American cars of the 1950–1980 period, TV and movie cars, bizarre cars, cars previously owned by the rich and famous, and a large, one-of-a-kind, Disney and Looney Tunes characters display. Unique to this museum is that many of the vehicles on display (in five large buildings) are for sale. One of 33 exhibits on the 25-acre museum campus is a military-oriented "Armed Forces Exhibit," added in the late 2000s. Of the 4 antique malls on the museum grounds, one is reported to be haunted and has become a magnet for ghost hunters and sightings and an episode of the TV show Ghost Lab. The museum has its own TV series on History called "Volo, House of Cars" beginning in 2017. Volo Bog State Natural Area is a nature reserve in Illinois, United States, preserving Volo Bog. The bog was designated a National Natural Landmark in 1973 as the only remaining open-water quaking bog in Illinois. The site also contains woodlands, savanna, marshes, prairie restoration areas, shrubland and old fields. Maintained by the Illinois Department of Natural Resources (Illinois DNR), the site is located about a mile west of U.S. Route 12 between the towns of Volo and Fox Lake, Illinois. Memorial Hall in Richmond, Illinois, US is a historic public building located in the village's primary business district. It was constructed in 1907 and has served as a focal point for community government and recreation. In 1993 Richmond Memorial Hall was added to the U.S. Register of Historic Places. Rome2rio makes travelling from Chicago O'Hare Airport (ORD) to Twin Lakes easy. Rome2rio is a door-to-door travel information and booking engine, helping you get to and from any location in the world. Find all the transport options for your trip from Chicago O'Hare Airport (ORD) to Twin Lakes right here. Rome2rio displays up to date schedules, route maps, journey times and estimated fares from relevant transport operators, ensuring you can make an informed decision about which option will suit you best. Rome2rio also offers online bookings for selected operators, making reservations easy and straightforward.